Born at County Down, Ireland on 27 December 1845, son of Charles Forrest and Marrian Blackader, the family emigrated to Canada in April 1852 and settled at Saugeen, Ontario. He left home at the age of 12 years to “follow a sea-faring life,” then served as an apprentice engraver after which he learned the jewelry trade. 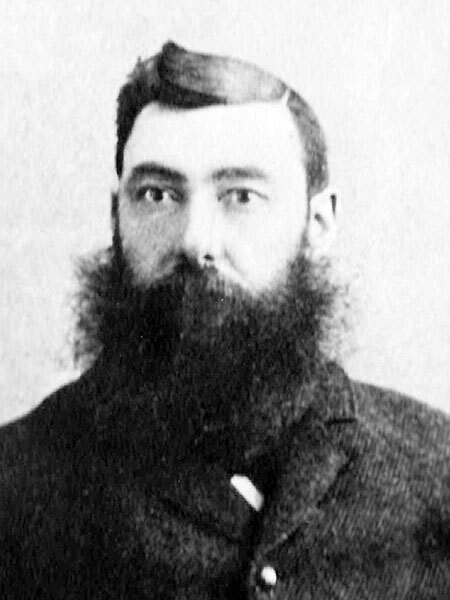 He came to Winnipeg in May 1875 and worked as a jeweler for Hugh S. Donaldson until 1881 when he bought the business in partnership and renamed it Thompson Brothers & Forrest. In 1884 he bought the business out solely and operated it until 1888. In May 1889 he moved to Morden and established a jewelry business. Shortly after arriving in Manitoba, he joined the Winnipeg Infantry Company under the command of George F. Carruthers, rising to the rank of Lieutenant. He served as Captain of No. 1 Company during the 1885 North West Rebellion and, on the death of William N. Kennedy, was promoted to Major. On 6 December 1881, he married Jessie Lillie (1861-1948), daughter of Alexander Roff Lillie and Harriet McDermot, at Manitoba House. They had eight children: Harriet Lillie Forrest (1882-1974), Ralph Fortescue Edgeworth Forrest (1883-1922), Henry Essex Forrest (1885-1967), Charles McDermott Courtney Forrest (1887-1978), Robert Blackader Forrest (1889-? ), Marian Jessie Forrest (1892-1971), Christopher Neville Forrest (1897-1957), and John Vincent Forrest (1902-?). He was an active member of Masons, serving as Grand Master of the Grand Lodge of Free Masons of Manitoba and the North West Territories. He died in the RM of St. Andrews on 23 June 1934 and was buried in the St. Andrew’s-on-the-Red Anglican Cemetery. “Capt. Ralph Forrest dies after return from Mesopotamia,” Manitoba Free Press, 27 February 1922, page 10. “Marriage notes,” Winnipeg Free Press, 9 December 1931. We thank Stan Barclay and Darryl Toews for providing additional information used here. This page was prepared by Gordon Goldsborough and Don Lowe.